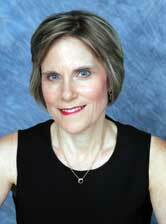 Sherry Henig, Ph.D. is a psychologist with over 25 years’ experience working with children and their families. In addition to her doctoral degree in clinical psychology, she also has a postdoctoral diploma in child and adolescent psychotherapy. Dr. Henig has a general practice in psychology in Jericho, New York, and works with both adults and children. She lives on Long Island, New York with her husband and their children. To learn more about her credentials and her work, you may visit her website, www.sherryhenig.com. Many young children are frightened about sleeping alone in their own bed. And trying to put a frightened child to bed at night can be extremely upsetting and perplexing for a parent. Of course, permitting a frightened child to sleep in the parental bed is one way to deal with the challenge of a child’s bedtime fears. But a desensitization or exposure procedure, involving having a child spend more and more time alone in her bedroom at night, can be a worthwhile strategy to help a child learn to sleep in her own bed. And there is research to demonstrate that this sort of technique can be very effective. Goodbye to Bedtime Fears is a full-color children’s picture book that tells the story of Emily, a little girl who is frightened about sleeping alone in her bed at night. Her parents try all sorts of strategies, but to no avail. Emily continues to beg her parents to let her spend the night with them. Eventually, Emily and her mother go to the library and check out books on bedtime fears. After reading the books, Emily’s mother explains to her that the books have taught her an approach that will work. The approach is a desensitization strategy. Mother applies the strategy, and Emily eventually falls sound asleep, in her own bed, all by herself. In addition to the picture book, Goodbye to Bedtime Fears also contains a parent’s guide that explains, in great detail, exactly how to successfully employ a desensitization procedure.